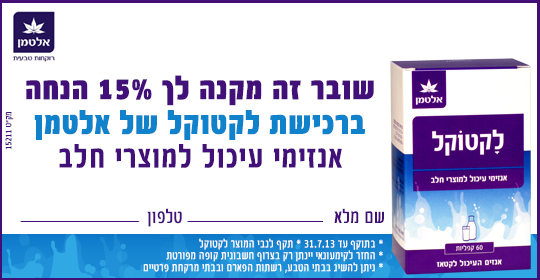 Kosherfrugal.com - Frugal Living in Israel: Printable Coupon (Israel)! In honor of Shavuot, and all the dairy foods that are eaten on Shavuot, you can get a coupon for Lactocal from Altman! Perfect for those of us who are lactose intolerant. This coupon can be redeemed at health food stores and pharmacies. It is valid thru July 31, 2013. Where do I find the form? Thanks! Hi Tally - I linked to it above - click on the words coupon for Lactocal - it will take you to the form!